World's largest short story, fiction, and poetry archive and community where writers and readers around the globe gather to share their passion. FictionPress is a growing network of over 1 million writers/readers, and home to over 1,200,000 original works. 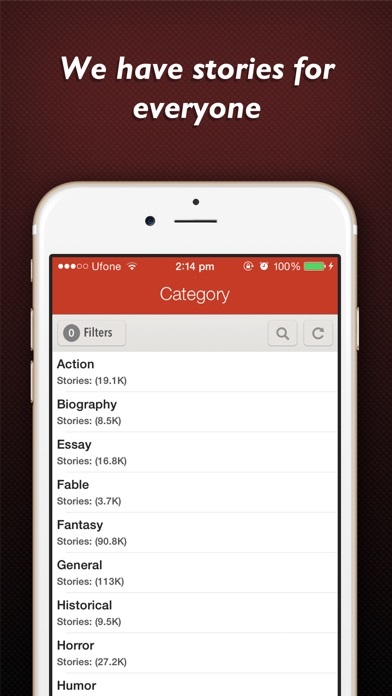 FEATURES - Search from thousands of stories! 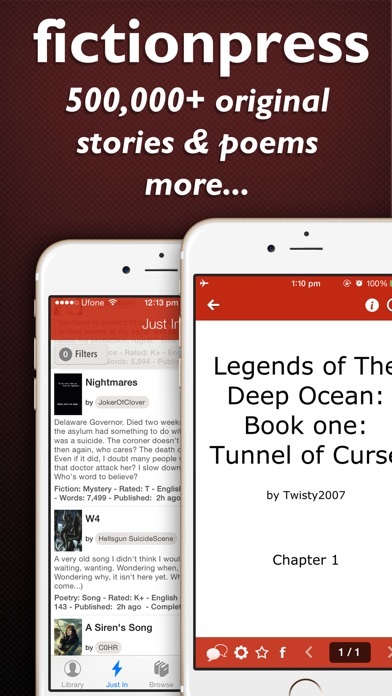 - Search from thousands of authors! (Author Search) - Sort search results THREE (3) different ways! 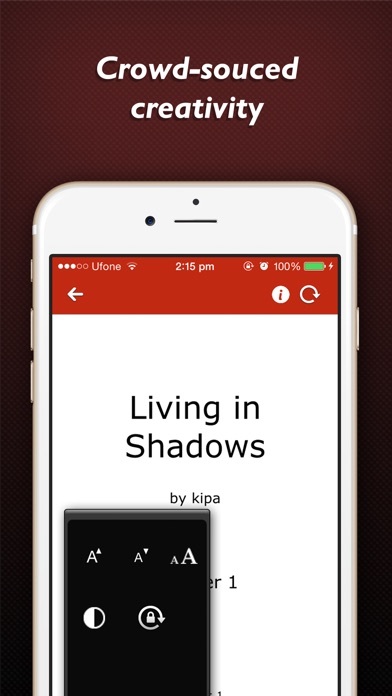 - Display local stories by host, category, or author! - View in portrait, landscape, upside-down, and every other way! 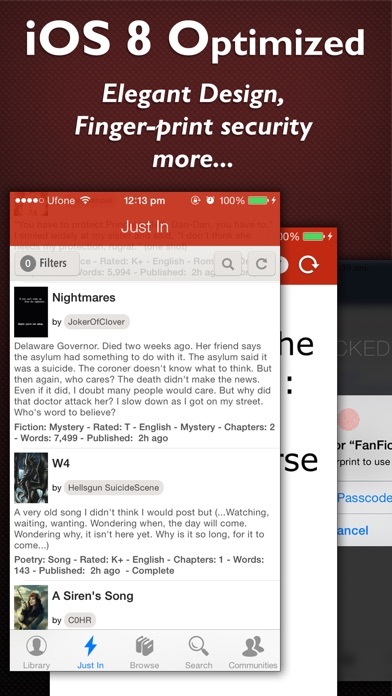 - Auto-lock lets you read in any orientation you want! 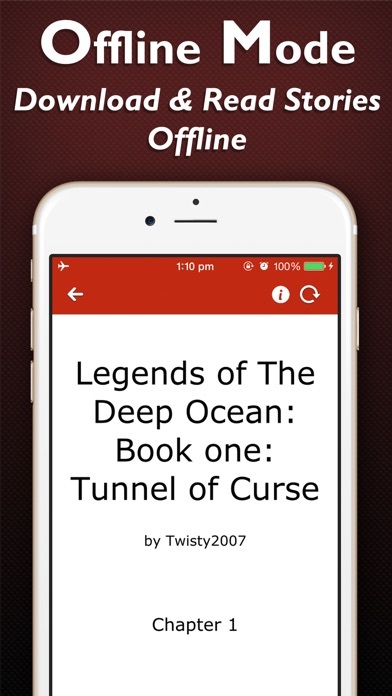 - Keeps track of your progress through each story and chapter! - Share storties on your device to a friend on facebook! - Change fonts and font sizes! I have done everything to make this work, but nothing works. I bought the stupid pro version and still won’t do anything but have pop ups claiming issues. So I downloaded the app and tried to log in. Pro only. Ok fine. I tried to browse stories. Nothing was found? Fine? I tried to search my own story. Unable to load data. I’m on the wifi. So the only thing I can do is purchase the full app? I don’t think so! Very upset. Apple needs to remove this app from being downloading. It literally does nothing. There’s no homepage, there’s no list of books, there’s literally nothing. Except for an error code saying “Data Loading Failed. Try Again.” So I just assumed that in order to get access to the books you should pay the $0.99 to go to Pro. But when you do that nothing changes. I tried deleting the app and redownloading but that didn’t work. Try completely turning off my phone and turning it back on to try again. That didn’t work. I then googled it to find that many people had the same issue. Don’t bother downloading the app. And Apple, if you’re listening, please remove this app completely. Wouldn’t even let me log in without upgrading to pro. Just trying to see if I can get pro free as someone said I could. But in reality I'm not satisfied at all with this app. It's the most nonfunctional app I've come across to date. Hope this changes soon. I purchased this app because I enjoyed using FanFiction but this one will not allow me to login or contact the developer for assistance. I am quite disappointed! Do not bother upgrading the app. It won’t make it work. Won’t even let me log in. Says I have poor internet connection which I don’t. Many people addressed the same issues and they won’t fix it. Not worth it at all. I couldn’t even login before the app crashed. The help center was invalid. Complete waste of time.